In 1945, Ven. Sumanasara, the master of Gotami Vihara, was born in Sri Lanka, and he became a samanera (novice monk) at the age of 13. 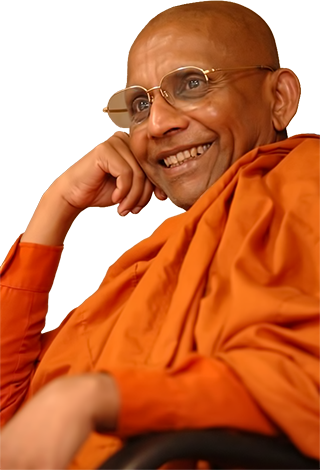 In 1965 he was fully ordained as bhikkhu (Buddhist monk) and continued formal monastic training. After teaching Buddhist philosophy at a national university in Sri Lanka, in 1980, he came to Japan to study Japanese Buddhism on the funds of the Sri Lankan Government. He is an internationally renowned Buddhist scholar and meditation master, He is currently involved in Buddhist evangelism and in guiding people into the practice of Vipassana. Through his sincere and gentle personality, and by his ability to give sermons fluently in Japanese and English, he has gained an excellent reputation among Japanese people. Moreover, Ven. Sumanasara is giving sermons at the Asahi Culture Center, and appeared several times on NHK Educational TV show, "The Age of Spirituality (Kokoro no Jidai)". Ven. Sumanasara preaches Buddha's teachings, which are actual and insightful wisdom to practice today.